Great apps are even better when they’re on sale! We’ve selected 25 iPhone and iPad apps that are over 30% off. 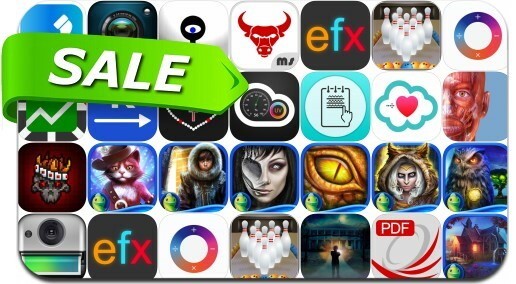 This app deal alert includes The Mystery of the Hudson Case, Stock Signals Pro, myFitnessSync for Fitbit, Muscle Premium, Dreampath: Curse of the Swamps, Christmas Stories: Puss in Boots, Subliminal Realms: The Masterpiece and many others.